Beginner quilt for very first time quilters. Learn all the steps to making your first quilt including designing and fabric calculation, rotary cutting, piecing, quilting as you go, joining quilted squares and bind a quilt. This class is broken into 5 monthly sessions. To complete your project, students must commit to the homework for the quilt they design. This is a building block process where the next step is dependent on the last step being completed. 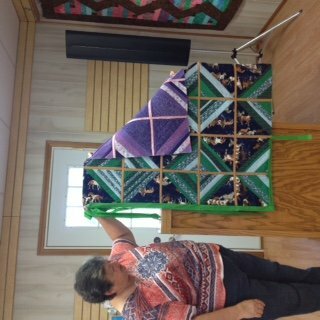 Build skills for a lifetime of success quilting! Requirements: Sewing machine in good working order. Purchase of fabric and batting for project (discussed at first session). Own or purchase rotary cutter with new blade, mat and 24 inch ruler and 12 inch (or large) Square Up ruler (these supplies will be discussed at first session). Students should bring note taking materials to ALL classes.